Star Wars is hotter than it's ever been. Following Disney's acquisition of LucasFilm back in 2012, the studio has already launched Star Wars: The Force Awakens to both blockbuster box office and critical raves. The first spinoff Rogue One: A Star Wars Story has wrapped and is ready for release this December. And Star Wars: Episode VIII is continuing to shoot in various locations around the globe as we speak. None of these movies would be possible without the numerous supporting actors and extras who make up this galaxy of strange and exotic creatures and droids. That's where the new documentary Elstree 1976 comes in. 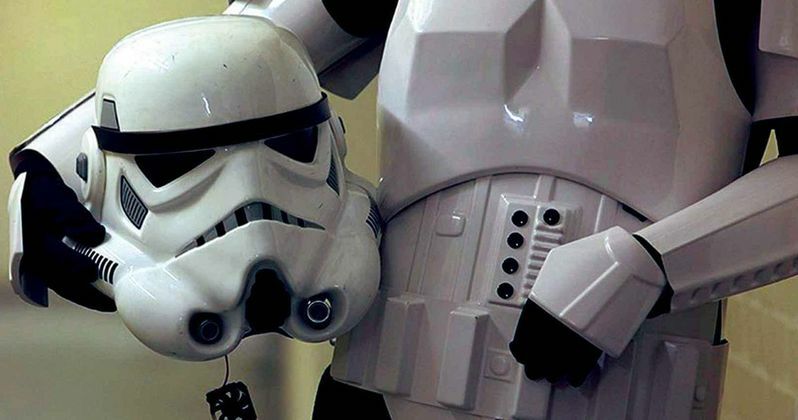 Elstree 1976 promises to go behind the masks, and explore beneath the helmet. The tag line promises: Big People. Small Roles. But as you'll soon discover, there is no role too small that doesn't deserve its own action figure. USA Today has a new look at this exciting expose with the second trailer, offering plenty of behind-the-scenes stories from the one that started it all, 1977's Star Wars: Episode IV - A New Hope. The movie also looks at the actors associated with Star Wars: Episode V - The Empire Strikes Back and Star Wars: Episode VI - Return of the Jedi. Jon Spira wrote and directed Elstree 1976. And the movie decidedly turns away from the three main leads, Harrison Ford, Mark Hamill and Carrie Fisher, to meet the actors you don't know by name. The documentary will be coming to select theaters on May 6. It will also go straight to VOD that same day. Even after thirty years, this expose will prove that not every Star Wars story has been told. In Elstree 1976, we'll get introduced to several supporting players who brought key roles to life while keeping their anonymity intact. The movie will also reveal how such a groundbreaking franchise, which means so much to so many, has affected their lives and careers these past three decades. The title is in reference to Elstree Studios in London, where the first three Star Wars movies were shot back in the late 1970s and early 1980s. Included in the first look trailer, we get to see both David Prowse, the man under the Darth Vader costume, and Jeremy Bulloch, the man who brought Boba Fett to life. They discuss their time on set, as well as on the convention circuit, where they've been able to make a pretty stable living. We also get to hear some of their favorite memories, including David Prowse's thoughts on getting to practice his lightsaber moves with the legendary Sir Alec Guinness. And Jeremy Bulloch reveals what it was like working with creator George Lucas back in the early days.